You View the World in 3D. Why Not Document in 3D. accurate and fast data collection. We document reality, period. When an event or incident occurs, there is nothing more critical than collecting and preserving the evidence and the scene. Detailed measurements and photographic documentation of existing conditions are crucial elements of the design process. as well as for restoration and cultural education. The laser scanner quickly, safely, and accurately captures the environment and potential evidence without compromising or destroying its integrity. For over 50 years, DJS Associates, Inc. has been a trusted source of quality forensic consulting and litigation support services for the legal community, insurance industry, government entities, and the public and private sectors. Our global experience in all aspects of forensic investigation comprised of forensic engineering, technologies and animations is further complimented by an independent storage, inspection and conference facility to secure, test, analyze and document accident and crime scene evidence. The many services and specialties of DJS Associates include a comprehensive expert referral network and dedicated educators in a wide range of disciplines, collision reconstruction and expert testimony, and our innovative state-of-the-art forensic technology, such as 3D courtroom animation and 3D modeling. Effective and timely use of 3D laser scanning and Event Data Recorder download, supplemented with forensic photography, videography and photogrammetry, have contributed to our reputation as a respected forensic consulting, technology and animation firm. Technological advances, employed by the consultants at DJS, as well as our 24-hour emergency response team, have increased the quantity, quality and speed of collecting physical evidence and other forms of data. DJS is recognized and respected, worldwide, as leaders and educators in state-of-the-art technology for case evaluation, analysis, preparation and presentation. DJS provides cutting-edge technology, such as 3D laser scanning and Event Data Recorder Downloads to document short-lived data for long-term preservation. DJS produces scientifically accurate exhibits and animations, utilizing the latest state-of-the-art technology, to meet and exceed our clients’ needs. The quality and quantity of the scanned measurements is based on each project’s unique requirements and provides scientifically accurate information for analysis and demonstrative purposes. The data is provided for viewing and use in several different formats based upon individual case needs. 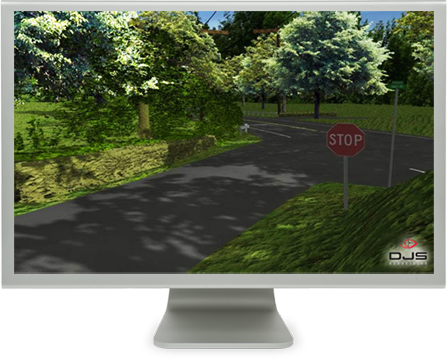 Deliverables include AutoCAD/Revit Drawings, 3D engineering animations, still images and point cloud databases. We work closely with you to meet your case needs. Help You on Your Next Project? Call us at 800.332.6273 or complete the form below, so we can make sure 3D laser scanning is a good solution for you.